Camping is easy to love when you imagine yourself ambling alongside a mountain stream or waking up at sunrise for a cup of coffee with a view. But in reality, there’s lots of gear to lug, food to prepare, and bugs to avoid—unless you go glamping. 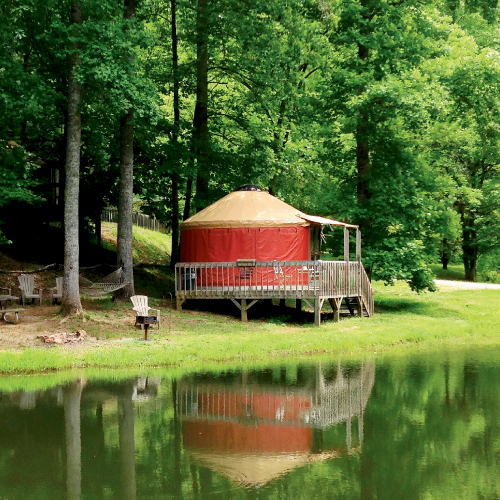 A combination of “glamour” and “camping,” glamping provides a comfortable way to immerse in the outdoors. Here are several WNC experiences that allow you to enjoy nature’s beauty while helping ease its burdens.